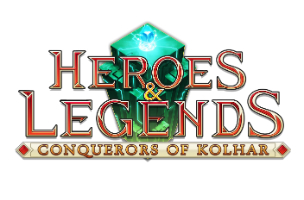 Phoenix Online Publishing has announced the release of Heroes & Legends: Conquerors of Kolhar on iOS and Android devices. Developed by Cuve Games, the fantasy-themed strategy RPG takes players to a world threatened by recurring evil. Players recruit and control a party of heroes and can create their own weapons and armor as they battle more than 100 kinds of monsters in an effort to stop the evil from returning. In Heroes & Legends: Conquerors of Kolhar, players are presented with a map that contains their missions. There are main story missions, as well as secondary side missions which are useful for leveling up and collecting items. Finally, randomized events are also available for exploration, with the possibility that these events are good or bad. Players won’t know until they choose to interact with them. During battle, heroes and monsters attack each other automatically, with the hero fighting the monsters directly in front of them. If there are no monsters in front of the hero (think horizontal attack lines), they wait until the wave is over and new monsters appear. Players can tap on and drag their heroes to switch their positioning on the board, which is helpful when a single monster remains, or when a hero is close to falling in battle. Each character has a few skills at their disposal, represented by attack buttons at the top of the screen. Players can tap on these special abilities to increase their character’s defense, heal some damage, boost their attack and so on, depending on the power and the character type (like wizard or warrior). These take time to recharge before they can be activated again. Users also collect items from fallen enemies, which are placed in an inventory grid on the left side of the screen. In terms of weapons, these are presented with green and red arrows, which indicate whether they’re stronger or weaker than a hero’s current equipment. If a sword is better, for instance, it can be dragged onto the hero to automatically equip it. Potions may also appear here, which are useful in reviving heroes who have fallen in battle. Finally, heroes gain experience points over time, and since some battles are quite lengthy, players can level-up their heroes mid-battle by tapping on a button when the hero is ready for the advancement. Outside of battle, players can use the items they’ve collected to create new weapons and shields for their units. New powers will also unlock for heroes as those characters level-up, and players can equip their favorite powers from the characters menu. Finally, gamers will collect more heroes as they advance through the game. Heroes & Legends: Conquerors of Kolhar is available to download for $3.99 on the iTunes App Store and Google Play. The game is also available on PC, Mac and Linux platforms.